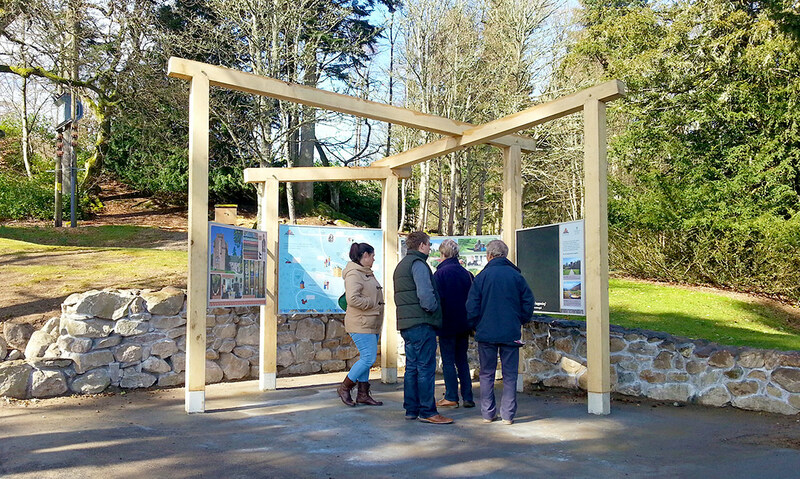 The National Trust of Scotland commissioned us to design, build and install an information point at for the Crathes Castle estate. 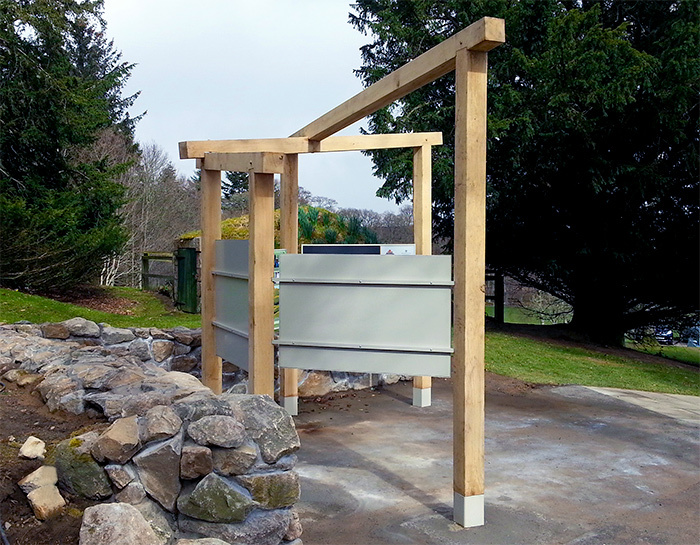 The project was to act as a threshold between the estate’s attractions and the entrance car park. 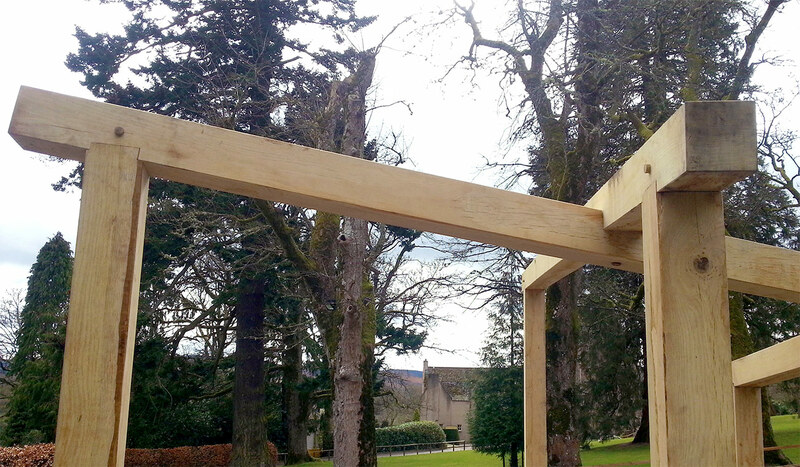 To complement the rural context, whilst also echoing the famous painted ceiling beams of the Castle, we used square section green oak as our primary material. 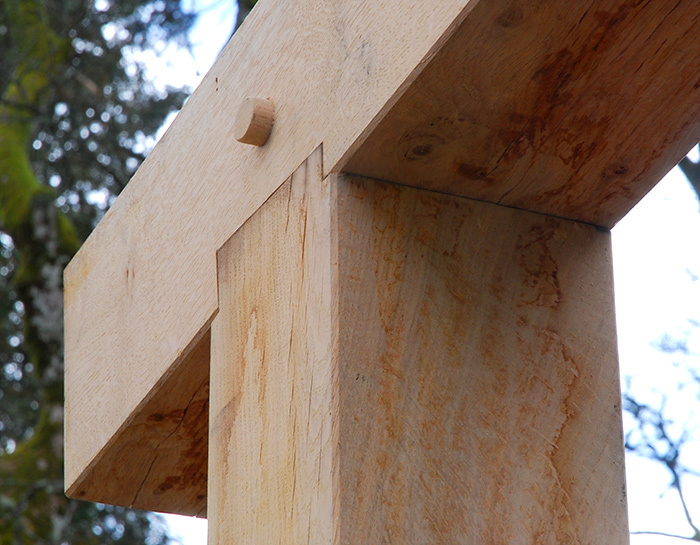 The oak is left untreated and will in time silver naturally in colour. The structure was to feel architectural and create an interesting relationship between traditional green oak carpentry and contemporary design. 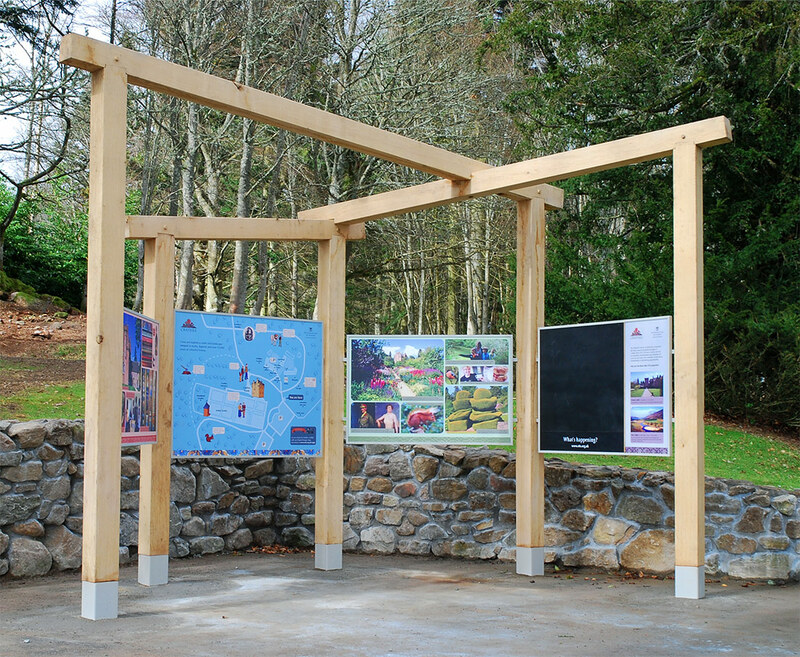 Interpretation panels were fitted into elegant powder­coated aluminium frames allowing for the displays to be easily changed.